Masters champion Mark Allen staged a dramatic fightback to reach the BetVictor Scottish Open final, winning the last four frames to defeat Daniel Wells 6-5 in their last four clash. The Pistol is now through to his third ranking final of the season so far, having won the International Championship and been runner-up to Ronnie O’Sullivan at last week’s UK Championship. Allen will face either Judd Trump or Shaun Murphy tomorrow as he aims to pick up just his second ever ranking title on British soil. Welshman Wells will leave Glasgow disappointed at not being able to convert his lead and reach a maiden ranking final. However, he will still be able to reflect positively on making his first semi-final appearance. Wells looked by far the stronger player in the opening stages. 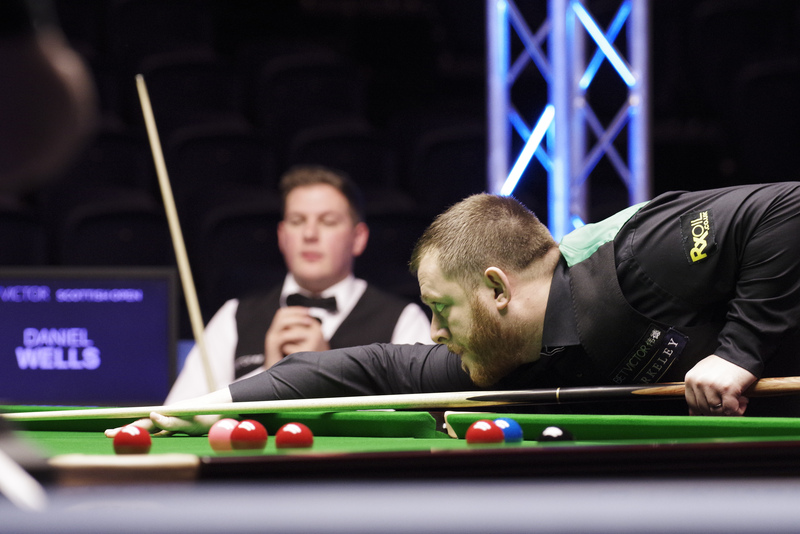 He capitalised on a slow start from Allen, establishing a 4-0 advantage at the mid-session. When they returned Allen crucially got his first frame on the board, coming from 55-0 down to steal. A break 59 then helped him to move within two of world number 66 Wells. Wells had looked to have halted the fightback after a 31 clearance saw him take the seventh on the black to move within a frame of victory at 5-2. However, at that point it was Allen who upped his game to go on a four-frame blitz, making breaks of 79, 106 and 129 on his way to the 6-5 win. Allen said: “I feel for Daniel. He was dominating that match right up until 5-3. He hit the ball with his arm on a rest shot and everything turned from there. I didn’t give him any chances after that and started playing well myself. Wells was understandably disappointed at missing out on the final, but says that today’s match will be an important experience in his career.